In India, as many as 134 people, most often women, were killed after being labelled as witches. In Odisha, 18 persons were killed last year. More than 50 persons lost their lives due to witch-hunting in Keonjhar in the last 10 years. 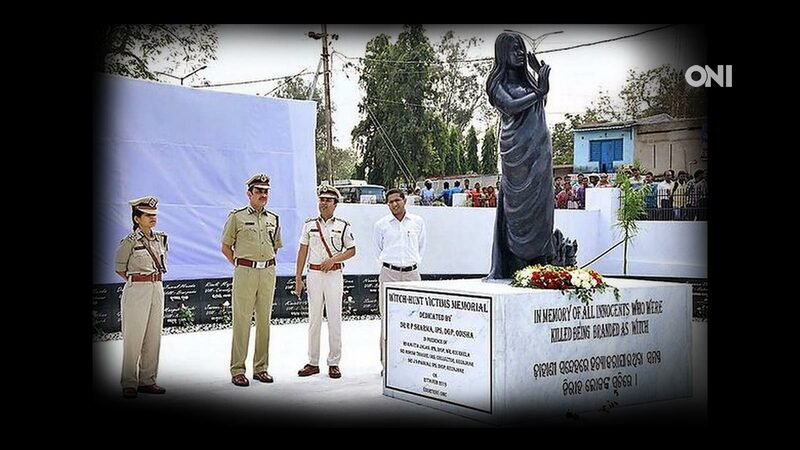 A memorial for witch-hunt victims was unveiled by DGP Dr RP Sharma on the premises of District Police Office in the district headquarter town of Keonjhar. A van with awareness announcement, publicity material and copies of the Odisha Prevention of Witch-hunting Act, 2013, was also flagged off for public awareness. The DGP also inaugurated a multi-gym and an ATM on the campus of District Police Office on the day.